Brickyard: Need Brick for your designs? Print Your Own! 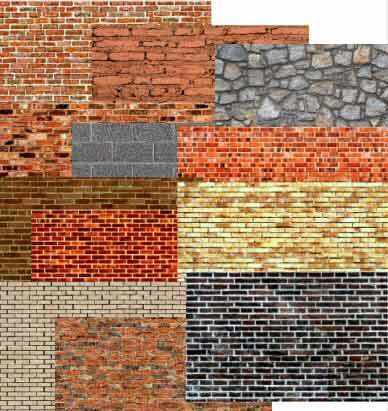 Print all of the brick paper you need for your model train, doll house, school project, or any diorama project. This opening screen is not active, you cannot click it. It is just a screen capture. 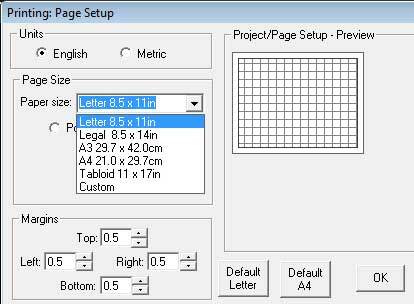 Then click the pattern you want and print brick in your scale! We print all of our designs using an ordinary Inkjet Printer and we suggest Matte Photo Paper for best image quality. What can you use brick paper for? for Building Walls, Stone Retaining Walls, Brick Sidewalks, Tunnel Portals, Bridges and Bridge Abutments, Archways, Patios, Foundations, Public Parks, and any other area in your Layout, Dollhouse, or diorama, or scene that needs some miniature bricks or stones. Your own ideas! choose your scale, or choose a custom ratio. Brickyard is great for N HO S O OO G, and 1:12 brick. 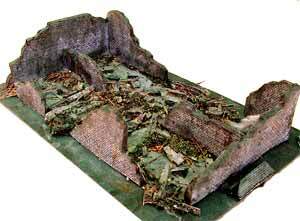 Brickyard is also used a lot for 1:144 1:35 1:72 and 28mm modeling. 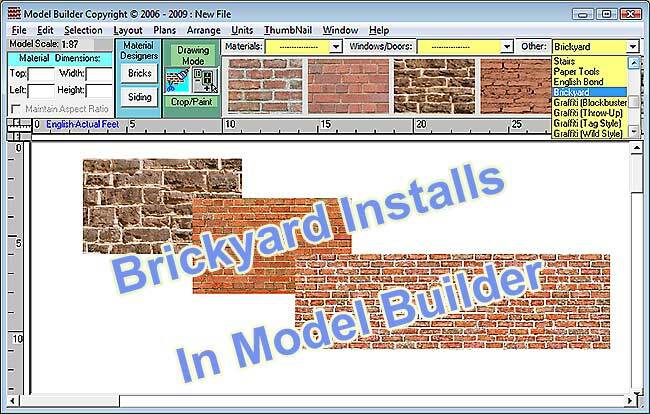 Brickyard is compatible with Model Builder. 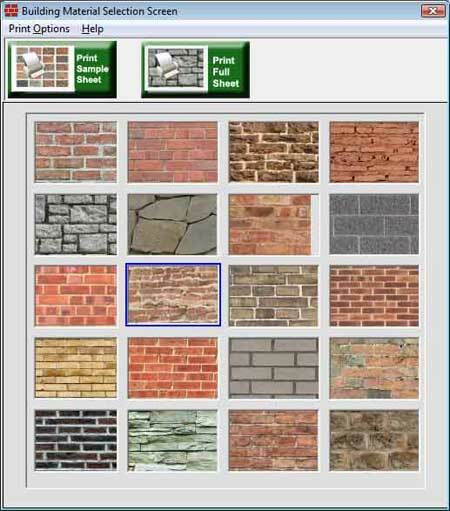 The bricks in Brickyard will import into Model Builder as another palette to work with. There is no overlap of brick patterns in Model Builder brick and Brickyard Brick. 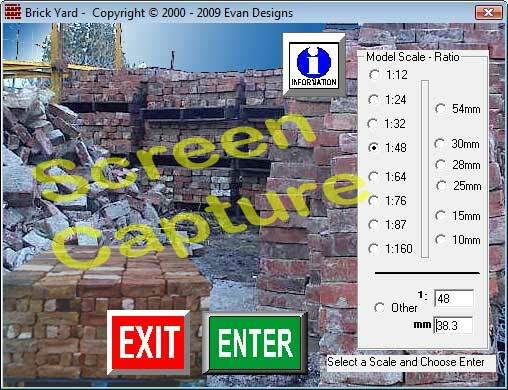 Brickyard runs on Windows 8, 7, Vista, or choose our Mac version. "Boy, do I wish computers and products like yours were available when I taught architectural drafting where the students built models of their houses they designed! So glad I found out about you"
"this has offered a truly fine option to add detail to some difficult areas. Thank you for such a fine product"
"Great Product! I will never run out of brick!" "Been looking for something like this for some time!!! " "Program is great adds a lot to custom building"